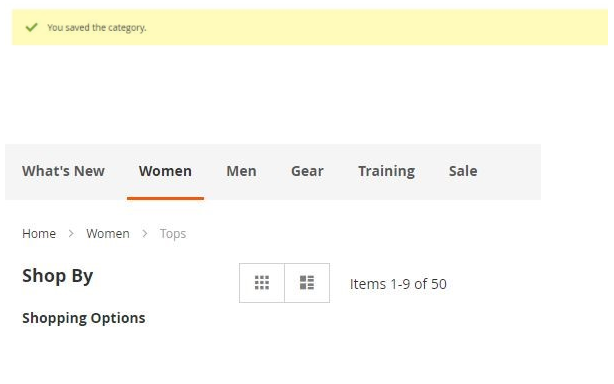 Magento’s layout system has been vastly improved in Magento 2 to be more accessible, more powerful and to be more streamlined. But, for some reason, only a very small subset of layout functions is made available for use in Magento 2 Admin (category layout XML updates, to be more precise). In this article, we’re going to show a very simple way of bypassing this pesky restriction. In the interest of keeping the example simple and straightforward, let’s say we want to remove the page title element from a specific category. In Magento 2 admin, in the category layout update XML field we add the following line. It’s important to note that this XML would be valid if added using XML files in a theme. It seems that different standards apply for the layout update field in Magento 2 Admin and for the theme layout files. This info will help us bypass the restriction. We can simply bypass this restriction by wrapping our referenceBlock code in referenceContainer code. But we need to find the container which contains our page title element. By doing a simple search in IDE, we find the following code snippet. We use the columns.top container and reference it in our Layout Update XML in Admin and wrap it around our initial code. When we save this configuration, we do not get any errors on the category page in Admin and the page title block is removed on that specific category. We hope to see these restrictions either removed from Magento 2 Admin XML layout update fields or better documentation that will explain the behavior in more detail. Magento 2 Admin would most certainly benefit of having unrestricted layout update features. Until then, we can hopefully use this bypass safely and hope that it’s upgrade-proof. Thanks for the great post. I would really love to hear your opinion on OVERUSE of static blocks with regards to optimizing a Magento site for search marketing. Additionally, we are always looking for Magento Developers that push the limits. We have a large portfolio of Magento clients. Would you be willing to have a chat about possibly working on some of our projects if it makes sense? You can find our site at: E-Commerce Business Consultants or please email me info@benworthen.com when you might have some time to discuss (if you have interest of course).